To be a financially stable and fiscally-responsible government that will utilize technology, communication, and ingenuity to provide the opportunity for a high quality of life by ensuring that excellent infrastructure is available to its citizens while being a location where citizens and public safety agencies have the resources to work together to provide a safe community to live and do business in, where quality housing and healthcare options are found, where first-class recreation facilities provide a physical outlet for individuals and families, and where there is a favorable business climate that provides job opportunities to present and future generations. 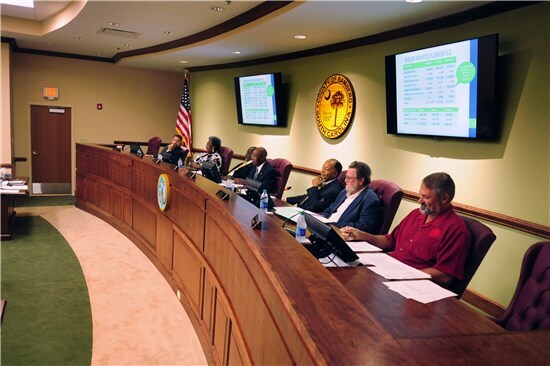 Bamberg County is split into seven county council districts, with a representative serving each district. Each council member also serves on different council committees.